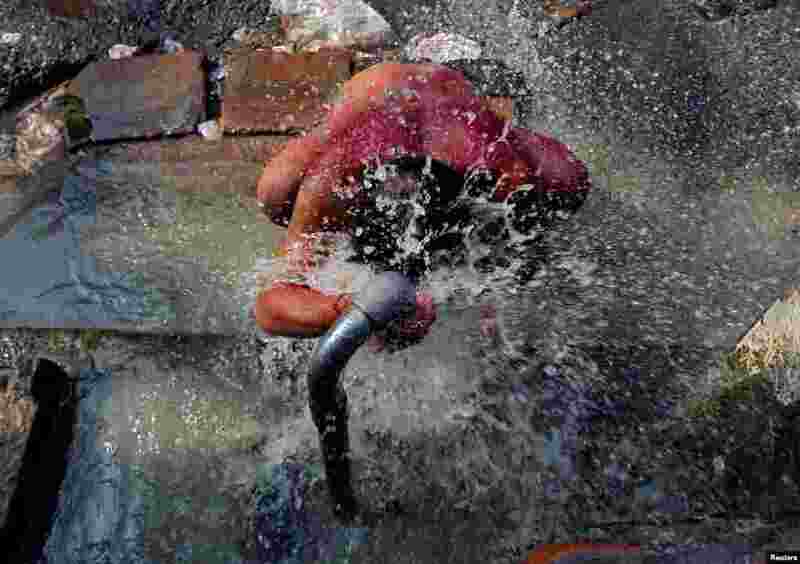 5 A man bathes at a roadside municipal tap in a market area of Kolkata, India. 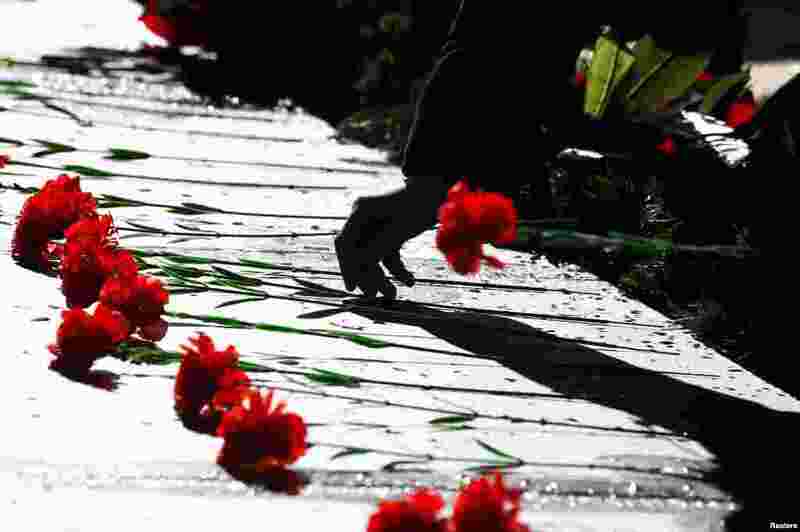 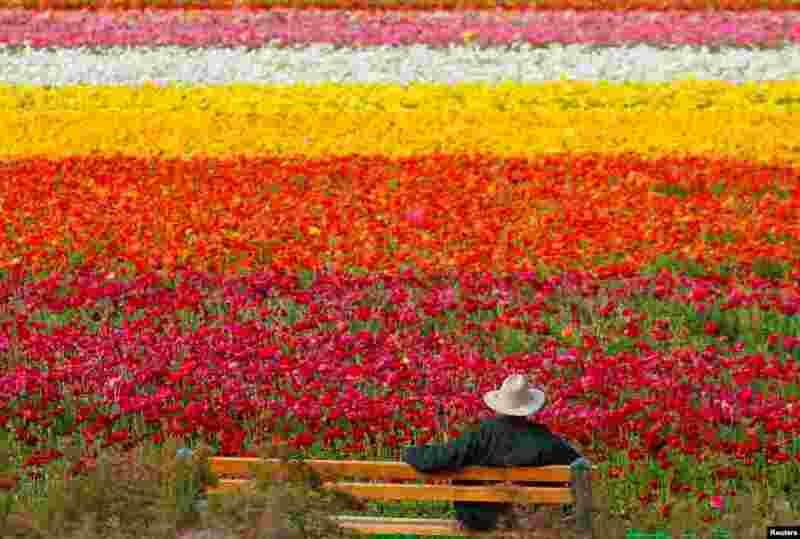 6 A visitor looks at the Flower Fields at Carlsbad Ranch as he enjoys nearly 50 acres of blooming giant Tecolote ranunculus flowers in Carlsbad, California, US. 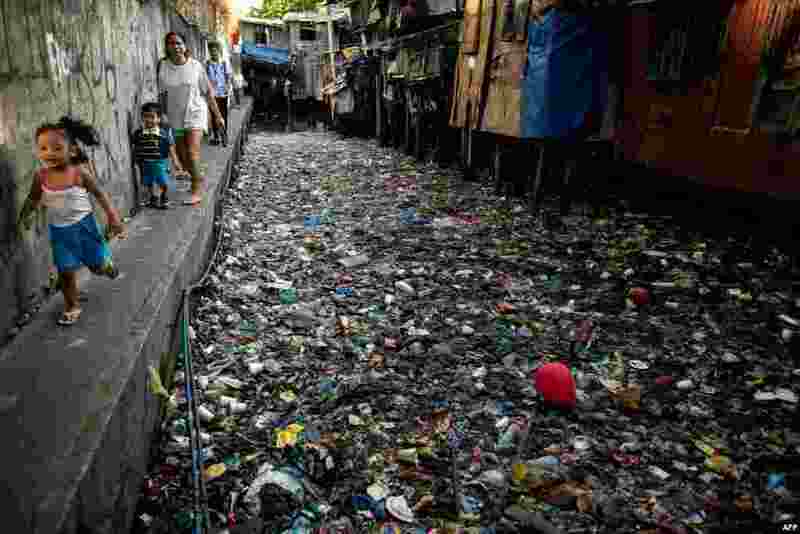 7 People walk along a canal polluted with plastic and garbage at the Estero de San Lazaro in Manila in the Philippines. 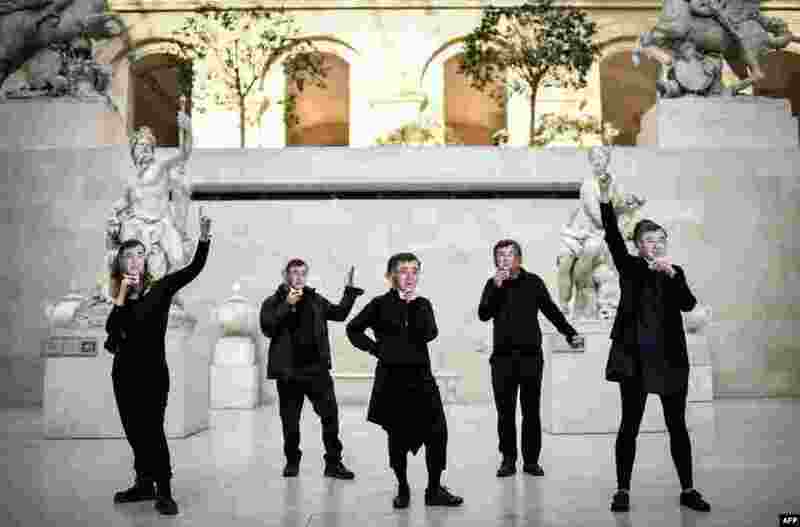 8 Members of the international climate activist movement 350.org wear masks depicting French energy giant Total chief executive Patrick Pouyanne in the Marly courtyard of the Louvre museum in Paris to protest against the Louvre and Total partnership. 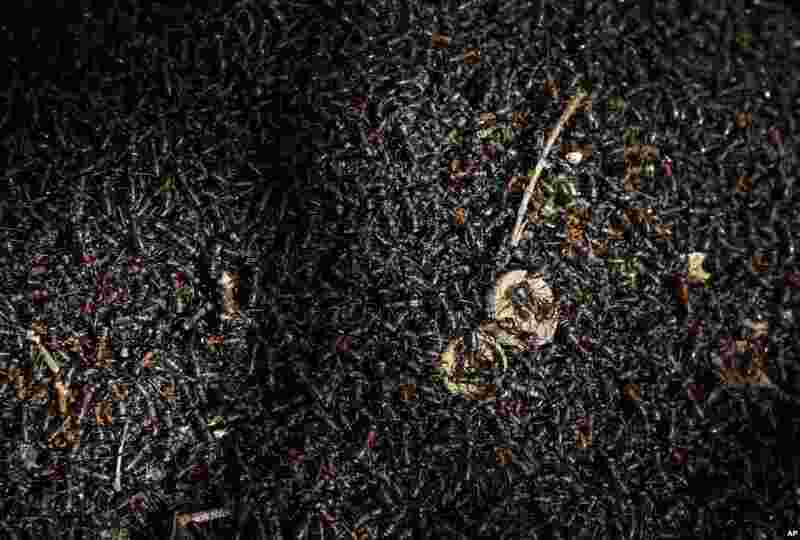 9 Thousands of ants warm themselves under the rays of the sun on the surface of an anthill in a forest on the outskirts of Minsk, Belarus, during a spring day. 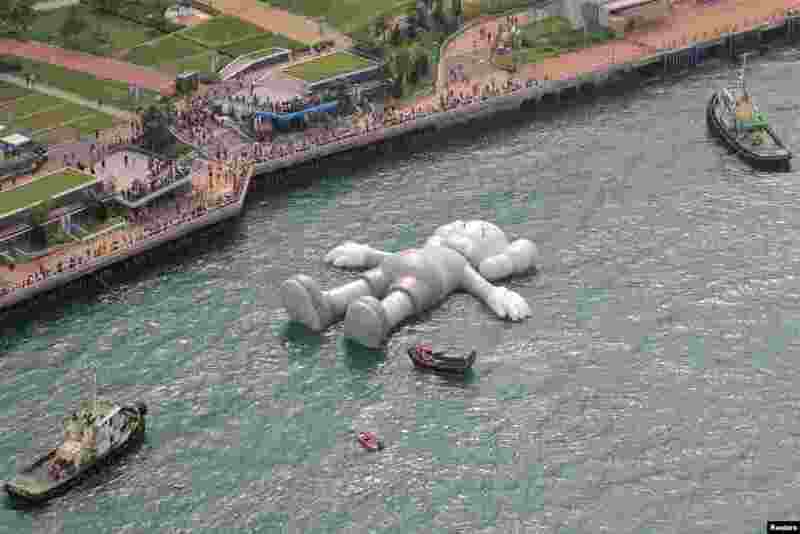 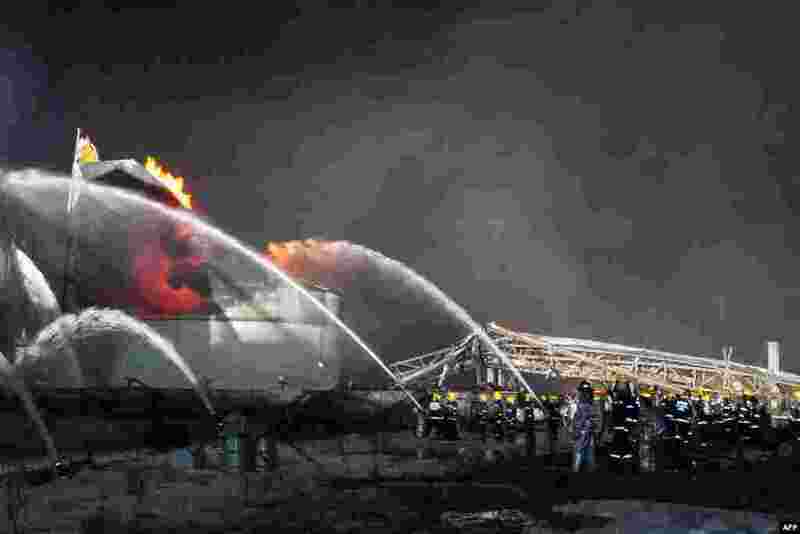 10 A giant 'Companion' inflatable sculpture by US artist Brian Donnelly, known professionally as Kaws, is displayed at the Victoria Harbor in Hong Kong, China. 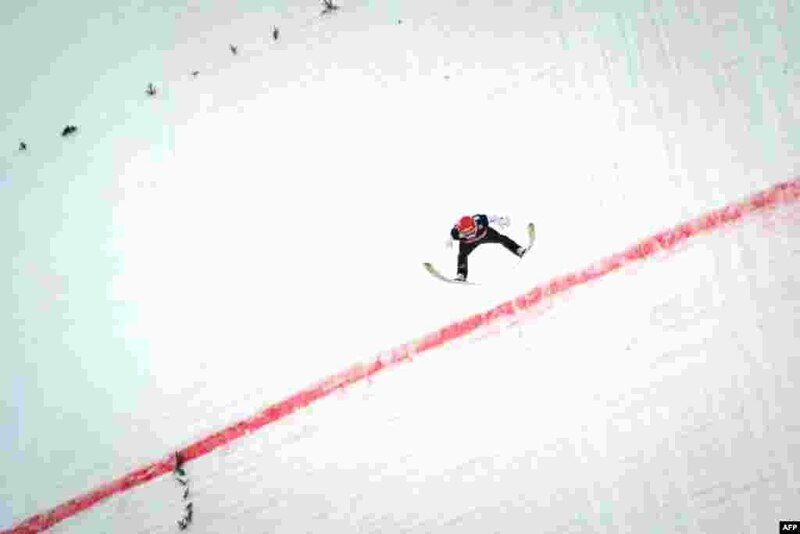 11 Germany's Markus Eisenbichler competes in the second round of the FIS Ski Jumping World Cup Flying Hill Individual competition in Planica, Slovenia. 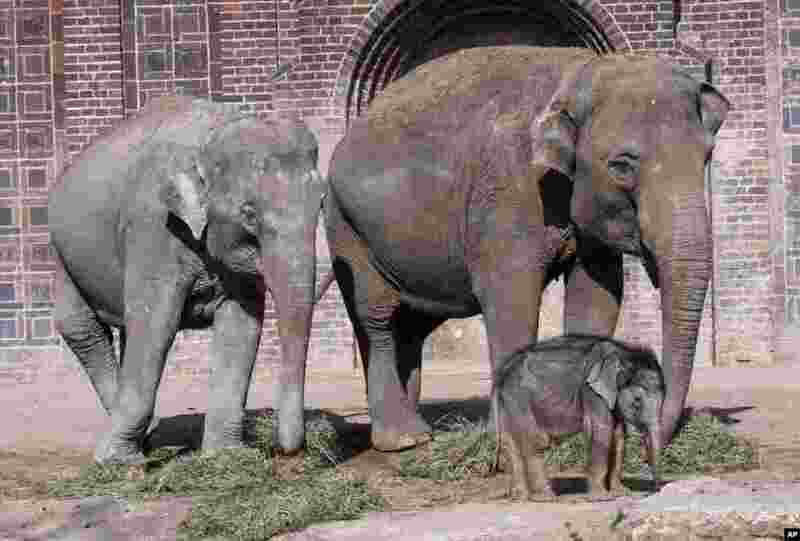 12 A baby elephant walks in the outdoor enclosure together with elephant cows Rani (L) and Don Chung (R) during his first public trip in the Leipzig Zoo in Leipzig, Germany.